Today was the big day...1st day of school! Kevin was so excited, could not wait. Kayla was very nervous and apprehensive. But they both did well at drop off and Kayla loves her new teacher. YEAH! We were on the fence about her but she seems to really like her already. So double yeah!! Here they are...going off to school! Kayla actually gets her OWN desk this year and that is very exciting! Kevin has already scouted out the BEST books in his classroom library and hidden them in his desk so nobody else can sneak them away to read them. Hee hee!! I hope the 2nd day is also a big success. Saturday we went to a back to school pool party and the kids and I made these little cuties...teddy bear pool party cupcakes! The kids put together the ring and the teddies and then topped them onto the frosting. Don't worry, that one teddy to the left survived being strangled by his floatie tube, hee hee!! Hope you all had a great weekend and Happy Monday!! 1. My sister and her hubbie visiting over 4th of July. I LOVE that she will take these crazy photos with me!! 2. Camping in Mammoth. Just pure gorgeousness. And really awesome geocaching! 3. Seeing my kids read together. Kayla's reading really blossomed this summer and it was neat to see Kevin helping her. 4. Watching Kevin and Kayla learn to boogie board. Kayla just loved it and could do it by herself after the first lesson! 5. Taking my kids to the splash park. It was our first time there and even though the water was freeeezing, the kids could not get enough! There were lots of other great memories this summer. I can't believe it's time for the kids to go back to school. They are looking forward to it so I hope the first couple of days go well. Have a great weekend everyone!! Strawberries + sugar + pectin + freezer = such great sweet fruit jam you can't resist. And since I had my apron on, I decided to make some cinammon rolls. And guess what...a little helper showed up!! Thanks to her Baki, she already KNOWS how to roll the dough, so MOM you DON'T need to help ME anymore. Geez. You just have to make sure you're wearing a cute skirt when you're doing it. And you know the best way to cut cinammon rolls...with dental floss!! You get a clean cut everytime. And here's the product before baking. Good enough to eat already!! Sorry...no after baking photo. They disappeared too quickly!!! Thanks for stopping by, friends! This month I was inspired by the colors of fall, mostly Halloweenish colors! Black and yellow and orange, love them all together! I was also inspired by Lauren and her endless creativity and templates. I made the Tucked Away template this month, soooo cute!! This one is so easy to put together, took me almost no time at all. What took me a long time was finding orange cardstock, I haven't used fall colors in a while!! I cut the flower on my cricut in different sizes and then layered it. And since I don't have the Halloween tag set, I used my Spring Tag set with fall colors. Worked perfectly!! Thanks for stopping by and have FUN hopping tonight!! And I wanted to use a template from Lauren that I haven't tried yet. So I picked her Pack a Picnic template, such a cute little picnic basket!! And then my daughter wanted to help and I was trying to help with dinner and also trying to help sharpen pencils for my son and by the time I finished the picnic basket...I kinda lost track of the colors for the color challenge. OOPS!! So, it kinda goes with the challenge but I used white instead of cream and it isn't exactly perfect. But I've decided to share it anyway! The cardstock is PTI, as is that big flourish. I love their flourish stamp set!! My daughter has a kids cuttlebug and cut the flowers out for me. So fun working together with her! I used my apron lace punch to put a decorative border around the top. And my daughter picked out the brads to use with the handles. Thankfully she picked something that matches, hee hee!! So...it's not perfect but we had alot of fun putting it together. I really love this template and plan on making back to school baskets for the kid's teachers next week. I can't believe summer is almost over!! Thanks for stopping by!! 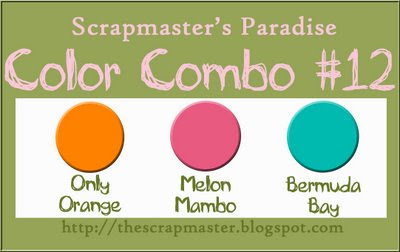 I forgot to mention...I am hosting the Finally Friday challenge over at Scrapmaster's Paradise!! Go check it out and maybe even do the Friday challenge this week!!! 1. The seajellies are amazing. 2. Penguins!! Obviously not California native, but they sure are cute. 3. The Giant Kelp Tank, I could watch this tank for hours. 4. China Rockfish, so many cool bass and rockfish in the kelp tank! 5. The Giant Octopus. This guy was sooooooooo cool!!! No flashes were allowed, so my photo is blurry. But I still think it's cool! What a great visit we had. I hope it's not 10 years again before we get back to the aquarium. We are going to the Farmer's Market later this morning and that's about it for plans today! Hope you're all having a great Saturday! Wow, we had a great vacation! We were camping by the beach and we got lucky with some gorgeous weather. Then we stayed with my mom for a few days and had a ball swimming and bowling and visiting with my brother and his girlfriend. I have lots of photos to download off the camera, stay tuned for some camping photos! 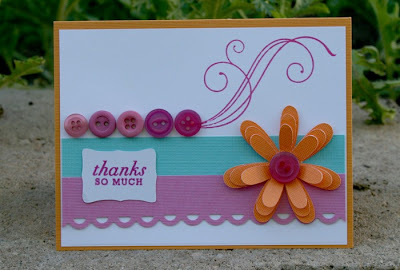 I do want to share some layouts I did using the August kit from Scrap That. I had the pleasure of playing with some new Basic Grey papers from the June Bug AND Lemonade lines!! Here's the first one using the June Bug papers. And some of the cool little felties that match! This picture of my son cracks me up!! He loved this beer sunglasses and I couldn't resist using that title! 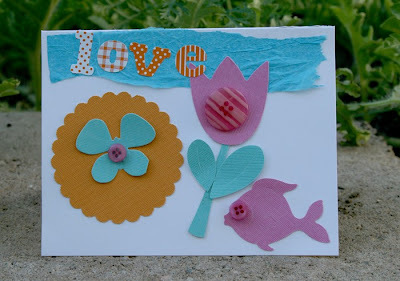 Looks at these fun felties from Basic Grey, too cute! This next layout is done using the Lemonade line of papers. I met my friend Beth almost 2 years ago now on a scrapbooking message board and we immediately clicked. We had so much fun chatting about scrapping and crafting, we quickly realized we had so much more in common. 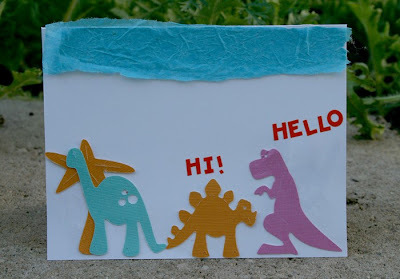 Check out her blog here, she's pretty damn crafty and creative!! I had the fun opportunity to meet her and her family in Santa Monica this April when she was vacationing. And here's the layout to prove it, LOL!! We just started chatting away like we had known each other for years!! She loves the Lemonade line from Basic Grey too, so I thought it was appropriate I used it for the layout about us. And I pulled out the glimmer mist, dusted it off, and used it on the chipboard letters. 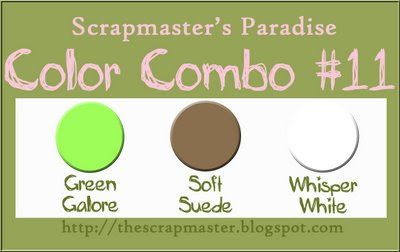 So if you're looking to get your hands on some great Basic Grey papers, check out the Scrap That store!! Color Me Daisy is 1 this month!!!!!!!!!!!!!!!! Michelle really works hard to put together amazing kits and they are definitely worth a look. They always include the latest product and embellishments. To celebrate, we are having a blog hop!! For my project, i'm going to show you how to make fabric flowers. The August CMD kit came with two great swatches of fabric. And I do admit, sometimes fabric stumps me. What do I do with it? Here's a great way to make fabric flowers to match any of your projects. Start with 3 strips of fabric. Mine measure 1 inch x 6 inches. Get a needle and thread in a coordinating color. I'm using the fabric swatches that came in the CMD August kit. Put in a fairly big stitch by hand using the needle and thread along one side of the fabric strip. Gather the fabric along the stitches. Tie a knot with the thread to secure the section. My fabric isn't long enough to fan out to make a complete flower. So repeat the same instructions for the other two fabric strips. Then attach the 3 sections together. I used Fabric Tac, but you could sew them or use another type of fabric adhesive. Now add a big button to the center. I used fabric tac again for adhesive. There you have it, a custom fabric flower! It's not perfect, there are some loose threads and it doesn't line up exactly. But that is part of it's homeade charm! Now add your flower to any project you wish. So... my challenge to you is...Create your own homeade fabric flower. You can use this tutorial or any other way you choose. 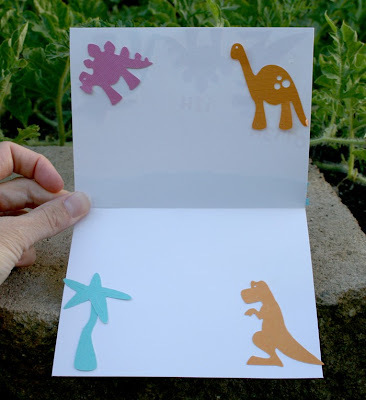 THEN use your flower on a card!! That's it!! 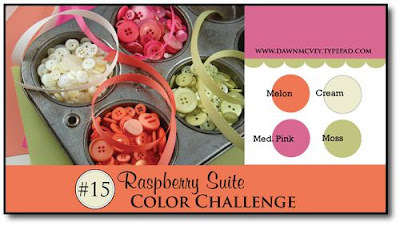 Make sure you LINK BACK to the Color Me Daisy message board to show everybody your project. Here is another flower I made. This time I used a 1 inch x 18 inch piece of fabric. Used the same technique, but it was long enough to just adhere the two ends together and fan it out. No need to make 3 different sections. You can be sure i'll be scrounging around my stash to find some more fabric. These are fun and fast and add a little bit of homeade flair to any project. Make sure you link back to the message board with your card. I can't wait to see your flowers! !